Considered one of the greatest works of Roman architecture and engineering, Colosseum is the largest amphitheater in the world. This world-famous Roman landmark is one of the city's most visited attractions, so expect a long line and an even longer wait. Skip the long line for the general entry by joining a guided tour of the site or by booking your tickets online. Built of concrete and stone, the elliptical amphitheater was originally capable of seating some 50,000 spectators who came to watch animal fights and gladiatorial combats. Emperor Vespasian began the amphitheater project in 70 CE. It was completed during the reign of Titus about ten years later, measuring 48 m (157 ft) high, 188 m (617 ft) long, and 156 m (511 ft) wide. Plan your visit to Colosseum and a wealth of other attractions, well-known and undiscovered, using our Rome online visit planner . A place full of history, beautiful, huge ... We went in August, namely the high season, the queues were huge but it was worth it. The place is beautiful, you can take beautiful photos, the ticket have access to foro romano ... Worth to visit. The place closest to ancient reality, stunning to see the place, and experience the events that were then, place. Entry to the place is almost impossible privately !! It is better to take a guide and shorten the endless lines, you can bargain for the price. Getting to the place is very convenient with the subway, and there is a large institute of restaurants and souvenir shops. It is advisable to watch out for street thieves. The place is crowded and it's very easy to lose a wallet or a bag at one moment. All in all, the place is very spectacular, exciting, and a place you can not give up. A must when visiting Rome. Very busy place. It is surprisingly well maintained. You experience a real feeling of what life was like. Queues are long so expect a long waiting time in the heat. The ticket is combined with the Roman Forum and Palatine Hill and is valid for 2 days. Kids under 18 go free. Tip. Buy your ticket online and jump the queues or go just before closing time and buy the ticket. You can use it the next day. Even better buy the ticket at the Forum entrance where there are less people. 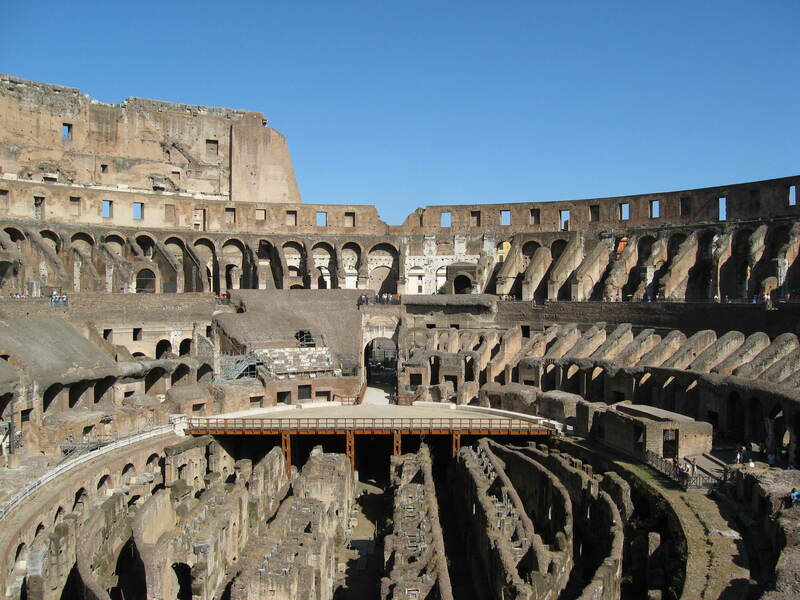 Best way to experience the 3 sites is to start at Palatine Hill, walk down to the Forum and then end at the Colosseum. Do not trust the 'skip the line' guys. There is a second register outside where you can easily buy tickets with credit card. You get the ticket there at standard rate and just walk in to the security check. I wished they would do something about this scams. Other than that the sight it's amazing and very impressive. Shoes how great the old Roman society was. I can not talk about Colosseum except beauty, majesty, power! Just look at this magnificent building to make it enchanting, I am sure that you are astonished at the Colosseum, a building built in the year 69 and initially used as an amphitheater, which later became a modification. It became a place for the kings to bleed and enjoy. In any case, before you see this collection, you will have to complete your information so that you can enjoy more and feel more when you see this Roman monument. Just add yourself at that time and imagine what happened here ... I would suggest you go to the first Sunday of every month you can go there for free. Be sure to visit the forums near the Colosseum. Don’t Forget l the first Saturday of every month to touch closely the magnificence and authority of Rome. Incredible history at this venue. The site is amazing. We took a guided tour, which I highly recommend as you get a much better understanding of the details and facts of the building and all the historical events. It can be quite hot depending on the time of year and of the day so be prepared and bring water with you ! Every day, we help thousands of travelers plan great vacations. Here are some tips on how to use your Listing Page to attract more travelers to your business - Colosseum. Promote your permanent link - https://www.inspirock.com/italy/rome/colosseum-a47308199 - on your website, your blog, and social media. 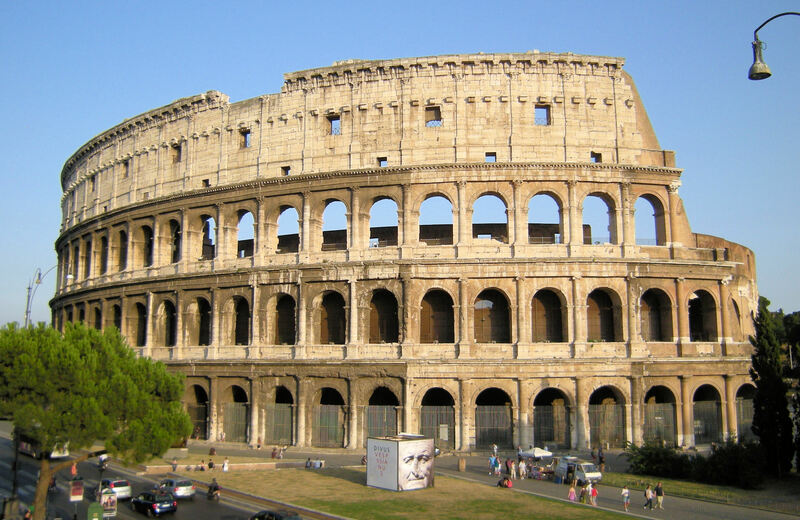 When a traveler builds a plan from this page, the itinerary automatically includes Colosseum. This is a great way for travelers looking for a great vacation in your city or country to also experience Colosseum. Promoting your link also lets your audience know that you are featured on a rapidly growing travel site. In addition, the more this page is used, the more we will promote Colosseum to other Inspirock users. For best results, use the customized Trip Planning Widget for Colosseum on your website. It has all the advantages mentioned above, plus users to your site can conveniently access it directly on your site. Visitors to your site will appreciate you offering them help with planning their vacation. Setting this up takes just a few minutes - Click here for instructions.